"I knew, in order to make the team, I needed to be on my 'A' game. If I came with anything less, if I brought my 'B' game, I probably wouldn't make the team. I came with my 'A' game and did what Coach (American record holder Johnny Gray) told me to do today and it worked out. The guys on the team, I think we have a really good chance of medaling in Moscow." 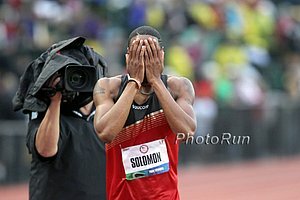 - Duane Solomon after leading wire-to-wire and running a world-leading 1:43.27 to stop Nick Symmonds' USATF winning streak at 5. 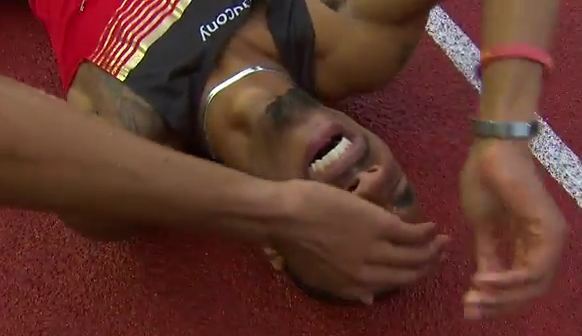 Symmonds was 2nd in 1:43.70. Mick Byrne: "Someone in USA Track and Field is not doing their job, it's that simple."